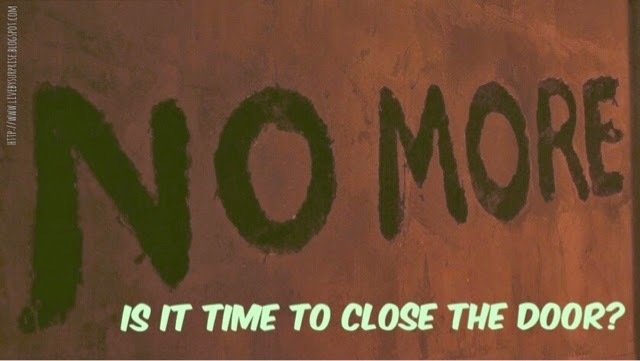 No More – When is it Time to Close the Door to More Children? What better day to post this than Labor Day? My ovaries are aching. They have been for a few weeks. I have three beautiful children. Three. I am one of the moms in North America who is keeping the “average” family size above 1.4 kids. Three children is considered a “large” family where I live. The average car is built for a family of four. As is the average home. Even dining room furniture. I’m already one over the limit. We just bought a bigger car. I’m not sure what we’re going to do about the table when Bae outstrips his high chair. In my head, I should know that it’s “enough”. Three healthy children. Five pregnancies. Two miscarriages. Three pregnancies each more difficult than the last. But three healthy, happy children. Unlike my first four pregnancies, Bae took some time and a little medical intervention. Given the ease with which I got pregnant in the past, it may have had something to do with the accident. Still, after over a year of trying the natural way, and two rounds of IUI (Interuterine Insemination), it happened for us. Lucky thing too. IUI is intense. There’s so much pressure. After the second procedure (which I was almost assured by the staff at the clinic was not likely to work), I was so disheartened, I wasn’t going to try again. When they called to tell me I was pregnant, I had her repeat it. Four times. Because I didn’t believe her. And yet there he was. We watched him grow from the time he was a little sprout. The doctor asked if she should tie the tubes while she was in there pulling him out. The word “no” came out before my mind even had a chance to process it. Without even asking hubs. I wasn’t ready to say “No More”. (Yes…that might have been a Doctor Who reference). After Bae was born, I knew that the chance that we would conceive again naturally was slim to none. The odds they gave us in the clinic after all the testing were less than 1% per month. Not using birth control shouldn’t be an issue. And so we haven’t. For over a year. And it appears that they were right – no baby. But 1% chance is still a chance. And after a slight “scare” two months ago (OMG how could we afford day care for two kids under two), Hubs and I discussed and decided that we should close the door. Three is enough. We have enough to take care of three. If four had happened naturally, we would have adjusted – but it’s time to close the door. Hubs is having the big V. Next week. And yet…I find myself wondering. Four wouldn’t be so bad. Would it? Edited Photo courtesy BBC’s Doctor Who. Disclosure: This post contains affiliate links. If you click a link I will be compensated.